* Our Personalized Red Wine Glass is traditional yet elegant and makes an excellent personalized gift for your bridal party, anniversary couple or any wine lover celebrating a special occasion. 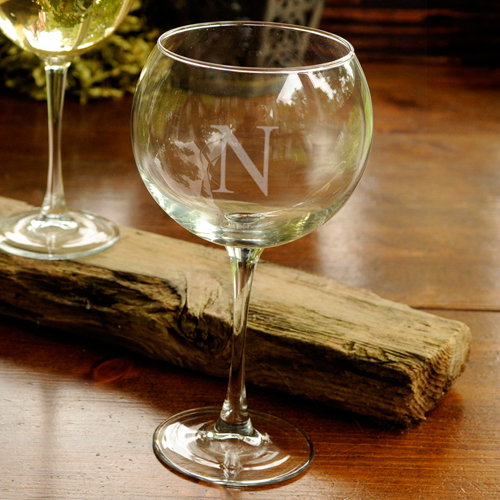 * Laser etched with a single initial in a classic font, this sparkling goblet holds up to 19 ounces of your favorite wine. * Personalized with a single initial.